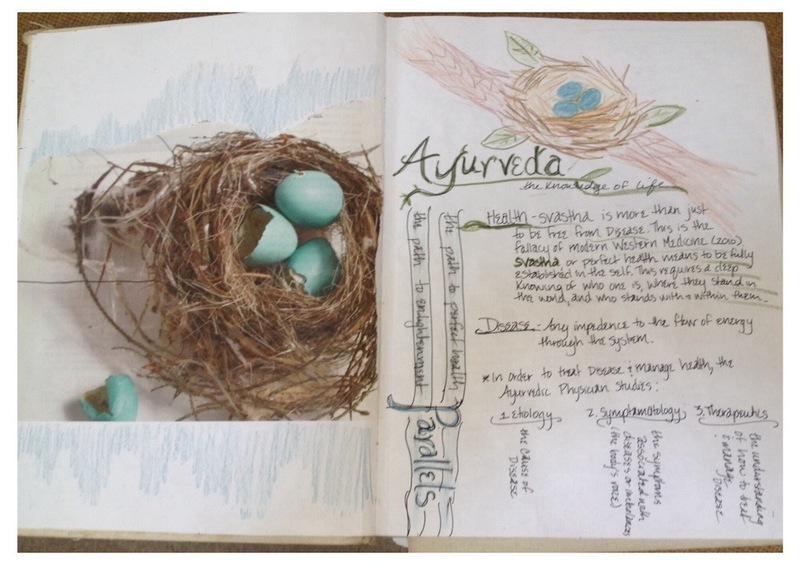 I’ve been going through the journals I kept when I was in California College of Ayurveda’s Ayurvedic Health Educator Program, and since so many people ask me what it is, I thought I’d start sharing a little about it every Wednesday. So, page 1 of my notes. What is Ayurveda? The knowledge of life. Health, or svastha in Sanskrit, is to be fully established in the self. It is not just to be free of disease–which is seen as anything that blocks the flow of energy through our system. I know it sounds a little hippy-dippy, but there is science to it. From a western perspective, one example of a blockage of energy might be arterial plaque. This is a major cause of disease among many of us eating a Standard American Diet (SAD) & living life in our world. * Transformation or decay of the body due to time and motion (time and motion cause stress to the body). From an Ayurvedic perspective, disease begins when we lose sight of our true nature as spirit. Again, sounds hippy-dippy, but think about it. Would you choose something unhealthy if you truly saw yourself as the spirit you were? 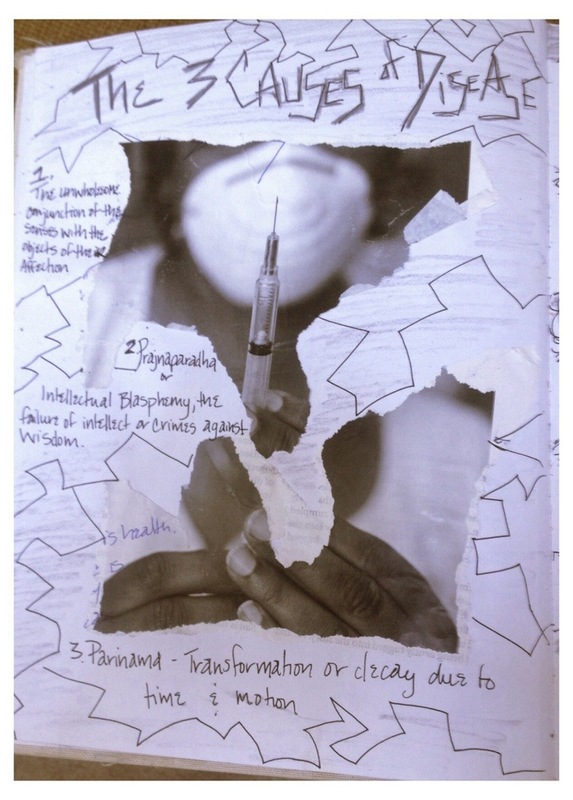 Would you get lost in addictive patterns and behaviors? Would you stress out about being thin or being wealthy or whatever it is we stress out about? Once we have forgotten our true nature as spirit, we become dominated by ego & a sense of separateness. We then take to living out lives primarily as sensory beings. In pursuit of mainly sensual pleasures, we tend towards over-indulgence and hyperactivity of the mind, & subsequent guilt because of these patterns of thought and behavior. This leads to a host of mental and physical imbalances which disturb the doshas (vata, pitta, kapha) and result in disease. In Ayurveda, we see the most significant imbalances occurring in the digestive system. Modern science is supporting this. Don’t believe me? Watch this rad TEDtalk. So, here is some food for thought. Some questions to promote health. Yours and mine. It’s a good think to think about on the day you are turning 35. Or any day for all of you a whole lot younger than me! *In what ways am I predominantly led by my senses? In what ways am I the attached to the pursuit of pleasure? Which type of pleasure do I use to fill a perceived “void” in my life? What wholesome action or pattern could I substitute for this action? What am I taking in too much or not enough of? Am I consistently feeling overstimulated by sights, sounds, smells around me? Am I lifeless or apathetic–when and what causes it? *Am I making the time necessary in my day to listen to my body, for stillness and silent reflection? Where am I ignoring my body’s natural rhythms & messages? * What percentage of the time is my mind hyperactive or distracted, nervous or under stress? How can I make more time for stillness & simplicity in my life? Do I practice any sport, craft, meditation that requires complete focus or presence? Previous postYou Go A Little Crazy. Next post52 Weeks. Or Something Like That.